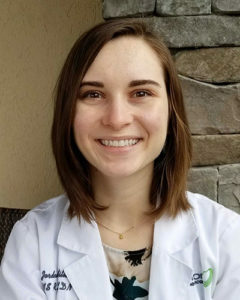 Food Therapy: Getting to know Jordan Wingate, Grace Ridge dietitian - Grace Ridge Retirement Community - Morganton, N.C.
March is National Nutrition Month, an annual nutrition education and information campaign created by the Academy of Nutrition and Dietetics. To celebrate, we chatted with Registered Dietitian Jordan Wingate, who joined Grace Ridge last June. Wingate helps enhance residents’ quality of life through food and by providing medical nutrition therapy and nutrition counseling. What made you decide to become a dietitian? I first became interested in the field during an introductory global nutrition class. The course taught me about many different nutrition-related diseases. I was particularly intrigued by malnutrition and nutrient deficiencies, as these are arguably the most preventable and curable diseases in the world yet are some of the most prevalent. What’s more surprising is that malnutrition also commonly occurs in the United States, especially for low-income and older adult populations. I knew I wanted to be a part of a solution for those who are at risk for malnutrition or for those who are in need of a nutrition intervention. I attended Appalachian State University, where I obtained a bachelor’s in nutrition and food and master’s in nutrition and dietetics. I’m a Registered Dietitian Nutritionist with the Commission on Dietetic Registration and a Licensed Dietitian Nutritionist with the NC Board of Dietetics and Nutrition. I completed my 1500-hour dietetic internship with Carolinas Healthcare System Blue Ridge, Caldwell Memorial Hospital, Catawba Public Health Department, and Catawba Women, Infants and Children program. I also studied abroad for two months in South Africa at the University of the Free State, interning with local dietetics students at hospitals and health care clinics in rural areas. Additionally, I worked with the Watauga Project on Aging as an Eat well, Move More, Age well ambassador and exercise instructor. My primary responsibility is to provide medical nutrition therapy for residents in the health care units and nutrition counseling services to any Grace Ridge resident who requests them. I also help the chef manager and culinary director plan a week of menus for the following month, keeping in mind nutrition needs and resident requests. I update our nutrition analysis system and print copies for interested residents. They are placed in the main dining room for easy access. I also work on quality improvement projects for the community, including temperature control, meal appearance, recipe consistency and table service for residents in our health care center. My job also includes training dining services staff on topics such as HIPAA, safety control, special dietary needs and service standards. Independently living residents often ask me to help with their special dietary needs in their apartments and cottages. I also organize and host special events, such as “Nutrition Lunch & Learn” sessions and superfood of the month tastings. What do you have planned for residents for National Nutrition Month? 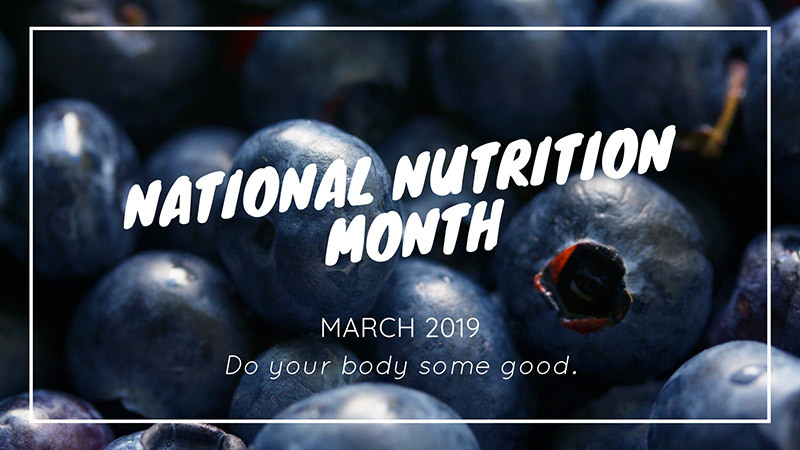 National Nutrition Month is about not missing out on the fun! We’ll celebrate by hosting a superfood of the month tasting of whole grains (serving farro salad and brown rice pudding) and a “Food Fight: Healthy Cook-Off” on March 28. My goal for the cook-off event is to encourage residents to cook delicious, healthy meals in their apartments for themselves and their friends. Grace Ridge residents, friends of residents and staff members are encouraged to submit their dish or visit the event to taste some wonderful dishes. Some of our residents miss out on the joys and health benefits of cooking because they rely on eating snacks or sandwiches to satisfy hunger. I would love to them get excited about vibrant recipes and flavors they can develop with their friends and loved ones. Cooking is not only a way to nourish yourself but also a hobby that allows you to use creativity and build relationships.